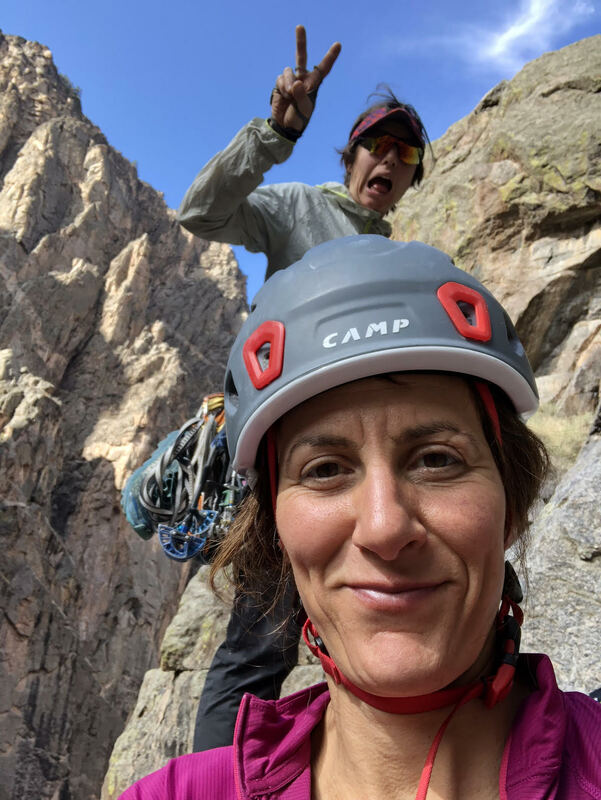 Last May, Madaleine Sorkin and Mary Harlan were preparing to do a 24-hour linkup of three routes in the Black Canyon of the Gunnison National Park to raise awareness for the Climbing Grief Fund, a new program launched by the American Alpine Club to provide support for anyone affected by loss or trauma related to climbing. One of the routes they'd initially hoped to do, Astrodog (V 5.11+), was on a section of South Chasm View Wall that the Park Service closed in mid-May right before their attempt. South Chasm has been closed indefinitely since other climbers had reported a huge flake that appeared to be dangerously loose on the lower-left section of the wall. The Park Service is currently studying the flake to determine how much it may be moving and will re-evaluate the closure when the scientific data is available (more about that situation is in the second half of this story). Sorkin and Harlan originally envisioned a linkup of Astrodog, Scenic Cruise (V 5.10+) and Russian Arete (IV 5.9+). The latter two routes are on the north side of the canyon. When it was clear that the closure on South Chasm View wouldn't change anytime soon, the duo returned to the canyon on October 29 with some revised plans. They ultimately completed a linkup of the Scenic Cruise on North Chasm View Wall and Russian Arete on the Aretes. The climbing took place between 5 a.m. and 6 p.m., including approach/descent times as well as a lunch break. The spent about three and a half hours on Scenic Cruise and three and a half hours on Russian Arete—the latter route was an onsight climb for both of them. They were thwarted by rain, however, on their third route, Southern Arete (V 5.10+), which is on the Painted Wall and entails one of the longest approaches in the canyon. In total they completed approximately 3,000 feet of climbing in a place that requires climbers to navigate steep, poison-ivy-choked descents from the rim and then climb back out (Harlan ended up with bad rashes afterward). It didn't make the challenge easier when Sorkin sprained her ankle about a week before the linkup. I think it was a fine effort climbing the Scenic Cruise and Russian Arete quickly with Mary. I'm disappointed that we didn't complete some version of [the linkup we'd envisioned] but a good effort was given in the circumstances and everything went well. For now, I feel a sense of completion with raising awareness about the CGF. I really appreciate the community of friends who were able to gather in the Black.... We had planned to descend to the bottom of the Black Canyon together and hold a council there. After the weather turned, we ended our first day with a campfire gathering for us all to share from our hearts about grief and longing. I am very grateful for this experience. Personally, I'm still feeling incomplete with what this vision was, and I will keep exploring that through climbing. The American Alpine Club plans to launch the fund soon and fundraising efforts are still underway at Chuffed.org. If you are a grief or trauma counselor and would like to be part of the network created by the Grief Fund, please email Vickie Hormuth at the AAC (vhormuth@americanalpineclub.org). If you have a personal story about grief or loss that you would like to share with the community, contact Madaleine Sorkin (madaleines@gmail.com), who is collecting these stories with plans to archive them online through the AAC's forthcoming grief resource webpage. 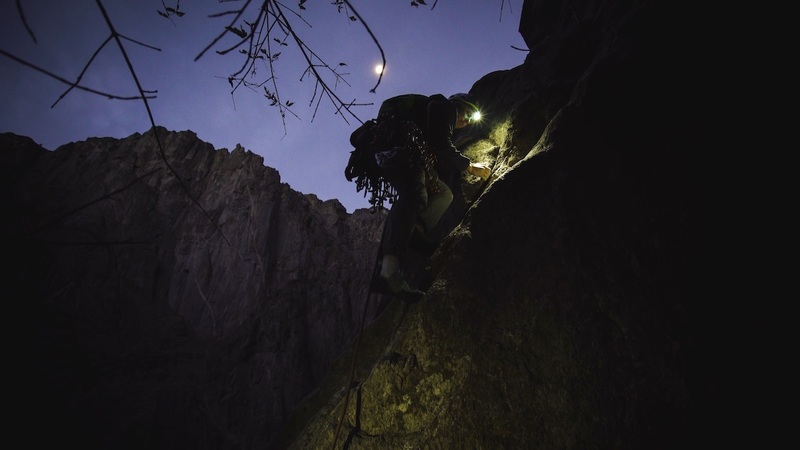 Topher Donahue and Jared Ogden were working on a new route on South Chasm View Wall in mid-May when they found evidence that a massive flake—which their route followed for hundreds of feet—was moving. Eric Bilderback, a geomorphologist for the National Park Service, estimates the flake to be about 88 meters (289 feet) tall and to have a volume of around 1,250 cubic meters. "Using average densities for metamorphic rocks, the weight estimate is in the neighborhood of 3,800 tons," Bilderback said, noting that the "estimate is still subject to change." [I] was just working on a project that starts on a 65-meter [offwidth] that forms the opposite (left) edge of the Flakes Route.... [Three] weeks ago I left [five] Big Bros* in there planning to fix them for me and for future parties to climb it without having to carry quite as huge of an OW rack. The last [two] days Jared Ogden and I went in for the send. We approached from above and on the pitch above the OW, while placing directional cams to get down an angling pitch, I noticed the cams didn't seem to fit the same as they had [three] weeks earlier and a section that had been [a] rattily finger-size now seemed to be solid hand jams. I thought it must just be in my head. Then I started down the OW, and all [five] Big Bros I'd placed had expanded 1 inch in the last [three] weeks! The collars were where I'd left them, but now there was an inch of thread showing between the collars and the tube—[presumably] the springs pushed the 'Bros open more as the crack widened, with the collars left in place as quite accurate indicators of how much the crack had widened. We bailed upwards, terrified because we had to climb a full pitch on the feature to get off it. The feature that moved (or is moving) is 250-300 feet tall and probably 40 feet wide on average. Craziest thing I've witnessed in 40 years of climbing. Reported to the [National Park Service]. Climbs that are threatened are The Flakes and Night is Dark and Full of Terrors. The thing is probably going to sit there for 10,000 years, but it may be good to give it a winter or two of freeze thaw to settle into it's new position or fall. We first climbed that section about 10 years ago and returned several times since then and the crack was always the same until this spring. The flake is heavily weighted in the middle, with thinner rock at the bottom and the top, and also leaning significantly to the left, so architecturally it is not a strong formation. This always kind of bothered me but until this experience I figured I didn't need to worry about rocks of that size.... When climbing the OW, we could see light coming through from the other side, where the Flakes route is, so it is separated from the wall by 10 inches or so for at least 70 meters. There was no significant freeze/thaw cycle between when I placed the Big Bros in late April and when we returned to see them expanded in mid-May. It was a dry winter in the area with the area...and the wall was bone dry both times I was in there. Bilderback's team has been studying the flake with a "Trimble SX10 robotic total station/3D Laser Scanner" since mid-summer, when the first scan was conducted. A follow-up scan was completed November 6 to determine how much the flake may be moving. Results won't be available until December at the earliest. "Since the climbing and boating season is winding down there may not be a huge rush [to process the results]," Bilderback said. The Park Service will re-evaluate the closure on South Chasm View Wall after the scientists can provide them with this data. "The Black is an insane gash in the planet...." Bilderback said. "I'm in an advisory role. It's not my job to determine closures. I will do a risk estimate and try to put numbers on how many people are likely to be in that area [if/when the flake does fall down]." The closure has frustrated some climbers because the rock in question is near the bottom of a wall that is approached by rappelling in from above, meaning that climbers could avoid the flake by not descending all the way down the wall. Donahue observed the irony that "the best routes in a canyon known for loose rock are closed because of a loose rock." Still, the Park Service doesn't want to take any chances. "We're waiting to make an informed decision," said Black Canyon Chief Ranger Chris Mengel. Alpinist will follow up on the closure when more details become available.